About Us | Luzerne County Head Start, Inc. 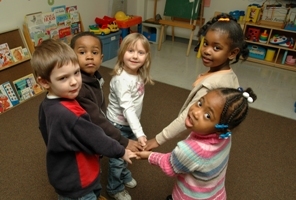 The Head Start program was created in 1965 to address the educational and developmental needs of our nation’s most vulnerable citizens- young children. Over the past 45 years, Head Start programs have been operated at the local, grassroots level across the country. Through Head Start’s comprehensive service system for both children and their families, thousands upon thousands of children have been given the chance to be and to do their best in order to achieve their potential in school.